You must buy a minimum of 48 at a time due to manufacturer packaging. Committed to excellence in cleanliness, this spring water undergoes a double disinfection process that uses no sterilizing chemicals and does not remove naturally-occurring, healthy minerals. This desire for purity extends to environmental responsibility, as the water is packaged in 100% recyclable PET plastic, the most recyclable of all plastics used for packaging foods. 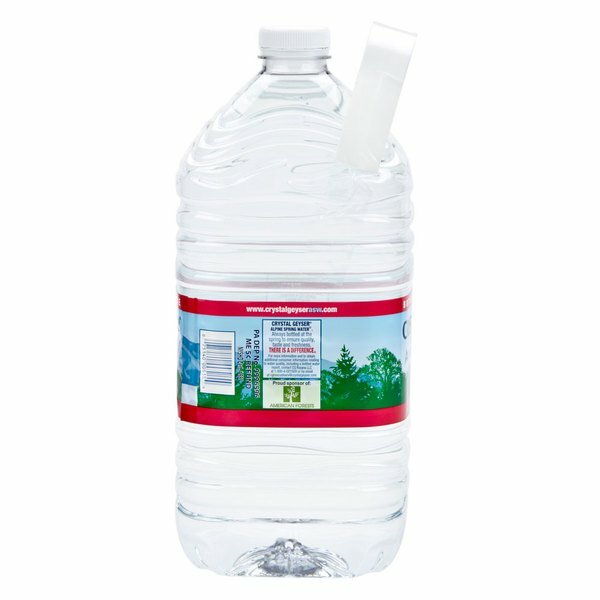 Each 1 gallon water jug is BPA free and FDA approved. Crystal Geyser is a great tasting quality product. I will only use Crystal Geyser water when brewing coffee or making tea. Quality water makes all the difference. 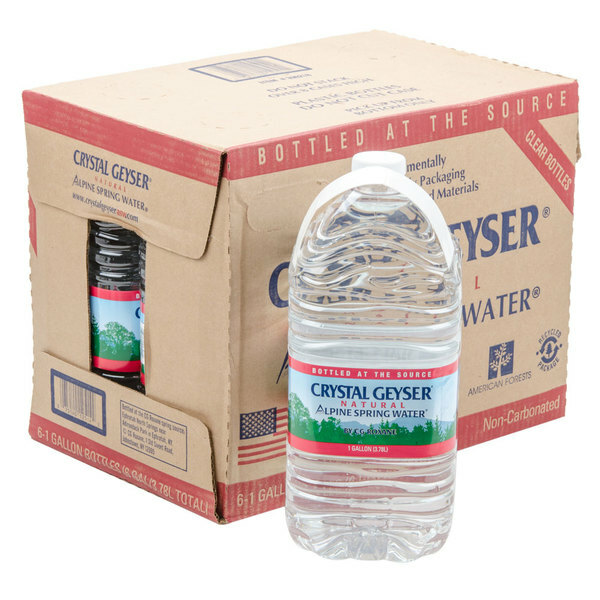 Crystal Geyser natural spring water is some of the best bottled water you can buy. it has a good flavor, and spring water is good for you. and this price for 6 gallons is amazing! 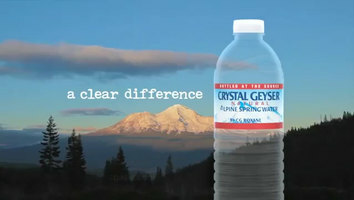 Crystal Geyser gallon natural spring water is great for our camping treats. The large jugs are easy to carry and have a great drinking quality. I love the size of these. They are perfect to store in the basement and have a nice handle on the top which makes it easy to carry. Great pure taste. I like that this water doesn't have added salt like some bottled water brands do. I really love this water. There's not much to say about it, it's kind of self explanatory, but it is good. These are great to stock up on in your basement for an emergency supply or to take camping. Crystal Geyser water is a great brand. Everyone loves it and it's got a very clean flavor. Not too mineraly which I enjoy. I've drank this my entire life. This is awesome water. It's very smooth and refreshing. I drink a lot of it in the gallon jug and in the bottled variety. I love it. Love the handle on the bottle and it's very sturdy even though it looks kind of cheap. Great tasting water at a great price really can't complain. We have this water delivered to our house every two weeks. This water is great and the bottle you can refill multiple times. The handle on the water jug is very flexible and is comfortable well carrying it! We love these bottles at home! 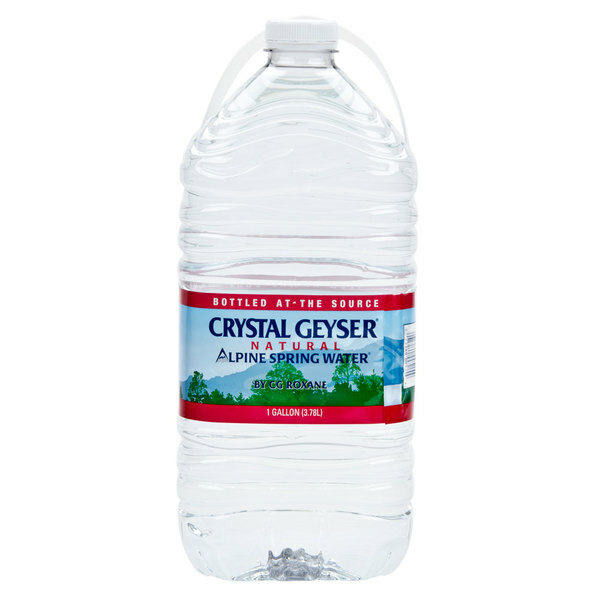 Crystal Geyser bottled water has a clean taste and it's full of minerals. It's spring water, bottled from one of 7 mountain springs across the US (they do not bottle municipal water like many other national bottlers). Depending on where you buy it or where it's shipped from dictates what spring yours will be bottled at. I've had Crystal Geyser mostly from the Olancha spring in California, but I've had bottles from other springs when travelling (many major airline carriers serve CG on board). It's also interesting to note that a major national grocery store chain with initials TJ bottles their store brand water from the same springs. If you're there, take a look at the label! Go figure! The water is a very economical price but it is hard to stand up in my refrigerator. I store them in my pantry. The water tastes great but is not excellent but looks very clear. Not sure if the taste is due to the plastic. This Crystal Geyser bottled water is refreshing and full of minerals. We use it for drinking at staff meal or for making vinegar or beer l.
this Crystal Geyser gallon bottled water is a really great tasting product. we like to always keep bottled water on hand. and at this low price its really easy to do.